"Powerful heater that offers functionality and smart safety features." "Will keep you warm with its simple, straightforward operation." "Perfect for use in small rooms or as a personal space heater." "The benefits of an infrared heater in the style of an oscillating tower." "Able to switch between ​​a personal space heater and a whole room heater.​​"
"Offers steady, constant heat output." "In the event of a power outage, you’ll have a reliable source of heat." For a powerful infrared heater that offers must-have functionality and smart safety features, the Dr. Infrared Portable Heater is our top choice. This 1,500-watt infrared heater offers an electronic thermostat that lets you set the temperature between 50 and 86 degrees. If you’re looking to optimize energy usage, use the Auto mode to let the unit cycle between 1,000-watt and 1,500-watt operation as it maintains your target temperature. This heater also includes safety shut-offs that prevent overheating or will turn off the unit if it is tipped over. One of the biggest claims-to-fame for the Dr. Infrared Portable Heater is its quiet operation. 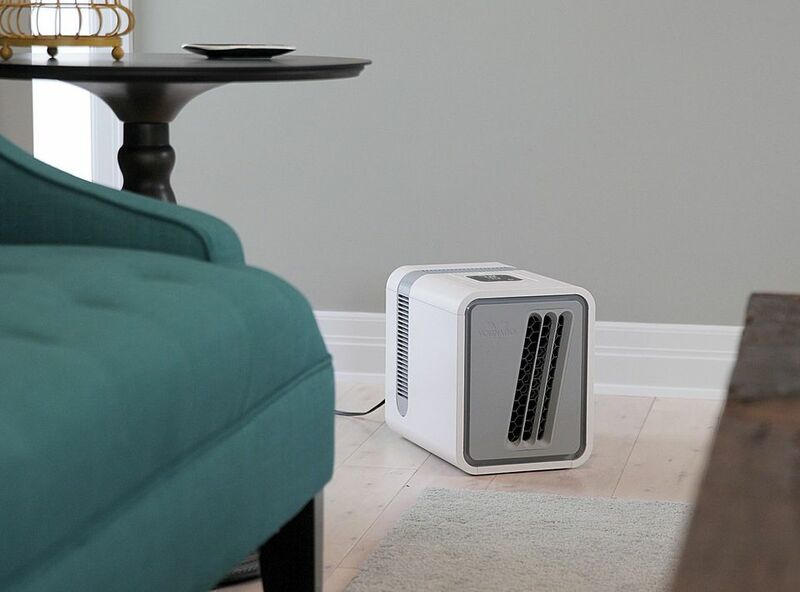 This infrared heater has a high-efficiency 7-inch blower fan to move the hot air into the room, while many other models have a smaller 3-inch fan that must work harder—and therefore produces more noise as it circulates. Everyone praises the mighty heating strength of this infrared heater on casters. Bear in mind that this is not an infrared heater for large spaces—so it’s better used as a supplemental heat source or to warm you up in a smaller room. With all the features and controls you need, combined with quiet operation, the Dr. Infrared Portable Heater is a great choice. Don’t burn up your cash by opting for a frills-free infrared heater, like the Costway Infrared Tower Heater. Our pick for a budget infrared heater will give you steady heat to warm you up in chilly moments. The Costway heater has a high and low mode, which offers 600 and 1,200 watts of power. And like most other infrared heaters, it has a tip-over and overheating shut-off mode. However, this infrared heater for less than $50 doesn’t include some popular features, like a digital thermostat to set your target temperature or a timer. One common complaint is that the indicator light on the top of the heater remains illuminated any time the unit is plugged in—which may cause confusion as to whether the heater is turned on. It should be noted, though, that it’s wise to always unplug an infrared heater when not in use, so this may not be a big strike against this model. If you’re looking for a basic infrared heater, the Costway Infrared Heater is our best budget buy that will keep you warm with its simple, straight-forward operation. For a large room infrared heater, opt for the powerful but compact MyEnergySmart Infrared Heater from Honeywell. This infrared heater for a large room has been used by many people to keep warm during chilly weather or when their furnace has been in need of repair. While smaller infrared heaters might be good for personal space heating, the larger capacity of the MyEnergySmart Infrared Heater enables it to warm up to 1,000 square feet of space. Featuring low, medium, and high operation modes (with wattages ranging from 1,000 to 1,250 and 1,500), you can choose the level of heat output needed for your situation. An energy-savings mode will let the unit cycle through these three modes to maintain your target temperature. This model from Honeywell also lets you store two MyTemp settings to quickly set the unit to reach your favorite temperature. A timer is also included with the heater, and it can be set up for up to 8 hours. This infrared heater for a large room won’t put off heat like a raging wood fire or your furnace, but it’s an excellent way to put more heat into a larger space. It has been especially useful for people who have a furnace that goes out and need to keep a living room or other central room in the house warm. If you need an infrared heater for a small room, look to the mini-but-mighty Edenpure SuperBuddy Infrared Heater to supply you with personal heat and comfort. This ultra-compact infrared heater measures just under 5 inches wide and deep, and about 8 inches tall. With such a small size and a max of 1,000 watts, you can’t expect this infrared heater to warm up large spaces—but it’s perfect for use in small rooms or as a personal space heater. Edenpure has a reputation for producing quality infrared heaters, and people that have plugged in the SuperBuddy say that it puts off sufficient heat and operates very quietly. It is popular for use in RV’s, offices, and more. While it doesn’t have a digital thermostat, it does have the necessary safety features and also has housing that contains heat and doesn’t pose a burn risk. This is a plus if you’ll be tucking the infrared heater in a small room with limited walking space or under your desk where it may get bumped. Share the warmth with an oscillating infrared heater, like the Duraflame Infrared Oscillating Tower Heater. This oscillating tower heater stands 22 inches tall and has the option to swivel from side to side, sending infrared heat in both directions. However, you can also keep the unit facing in one direction to concentrate the heat output. The unit is equipped with a digital thermostat, making it easy to set your desired temperature within the range of 62 to 82 degrees. Turn on the optional blower for increased heat distribution. Aside from the fact that this infrared heater oscillates, another feature that really sets this model apart is the fact that it remains safe to touch during operation. The housing of this heater only becomes slightly warm, so if a child or pet bumps into it, there is less risk of being burned. Other infrared heaters have metal grates that become very hot to the touch and pose a burn risk. This oscillating infrared heater from Duraflame is a good buy if you want the benefit of an infrared heater in the style of an oscillating tower heater. For an infrared heater that offers whole-room heating or a toasty personal space, check out the versatile Vornado Dual Zone Infrared Heater. While most infrared heaters are intended to heat people and objects— not the air in a room, the Vornado Dual Zone Infrared Heater can do both. Choose from two settings to heat the air in a room (a high and a low mode) or a personal zone setting to keep you warm. If you want an infrared heater to warm a space with little to no insulation, like a garage or workshop, choose the Heat Storm Tradesman Outdoor Infrared Heater. This infrared heater for the garage can be mounted on either the ceiling or wall, keeping your workspace and floor clear. It radiates heat using a 1,500-watt heater that operates on electricity—no gas or propane necessary. This utilitarian infrared heater doesn’t include a digital thermostat or an auto shut-off. Instead, it just offers steady, constant heat output. Since an infrared heater warms people and objects, it’s a great choice for a space like a garage, shed, or patio that may be drafty or lack insulation. While a few people complained that you had to be standing near the heater to reap the benefits, remember that this is the nature of infrared heaters. Instead of wasting energy and time trying to heat the whole space, you can stay warm while working on projects outside or enjoying the crisp evening air on your patio. Pick the Heat Storm Tradesman Outdoor Infrared Heater for heating your outdoor spaces or as an infrared heater for garages. While many infrared heaters are electric, you can opt for a natural gas or propane infrared heater if you want off-the-grid heating capabilities. The Dyna-Glo Infrared Wall Heater is a great choice. This wall-mounted infrared heater from Dyna-Glo puts out up to 30,000 BTUs per hour and offers energy efficiency up to 99.9 percent. You’ll need a propane or natural gas line to power this heater, but the upside is that in the event of a power outage, you’ll have a reliable source of heat. Firing up the heater is easy, thanks to the piezo ignitor. A few people noted an initial odor when using this heater for the first time, but after several hours of use, the smell dissipated. As for its ability to heat things up, most users are pleased with the firepower of this infrared heater and were surprised by the low fuel consumption. If you are looking for a propane or natural gas infrared heater to mount in your home, cabin, or any other spot—choose the Dyna-Glo Wall Heater.